Today I write not about art, but certainly about divine inspiration. 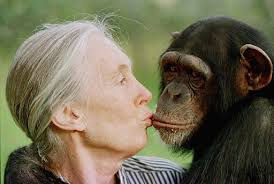 Do you remember that lady that lived with chimpanzees, back in the ’60’s? all-time heroines, a woman that I wanted to be when I was a young girl. A woman who changed the world… and is still doing so today. Jane’s life story and mission have special appeal for young people. They respond not only to her passion for and curiosity about animals, but to her courage and steadfast hope for a better world. A hope that I also have and hold. 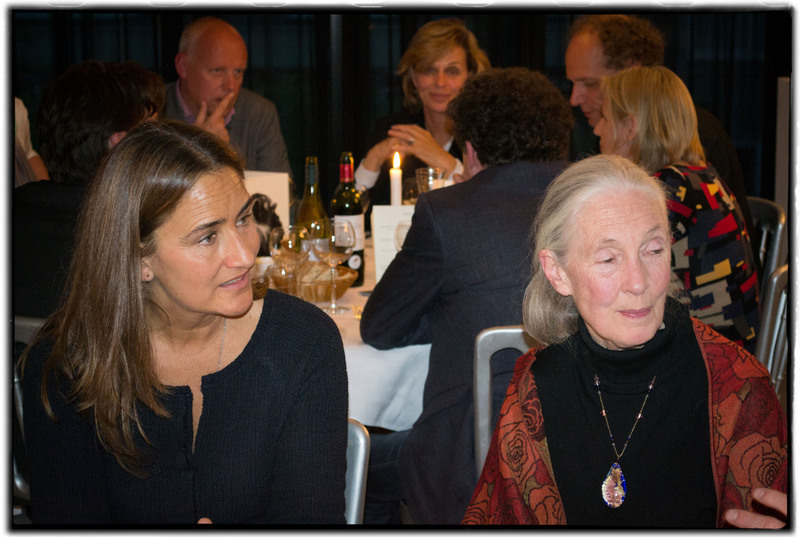 Reaching out to young people is a high priority for Jane, and conservation education is a critical part of her work. As she says: leaders of tomorrow are created through her global youth program. 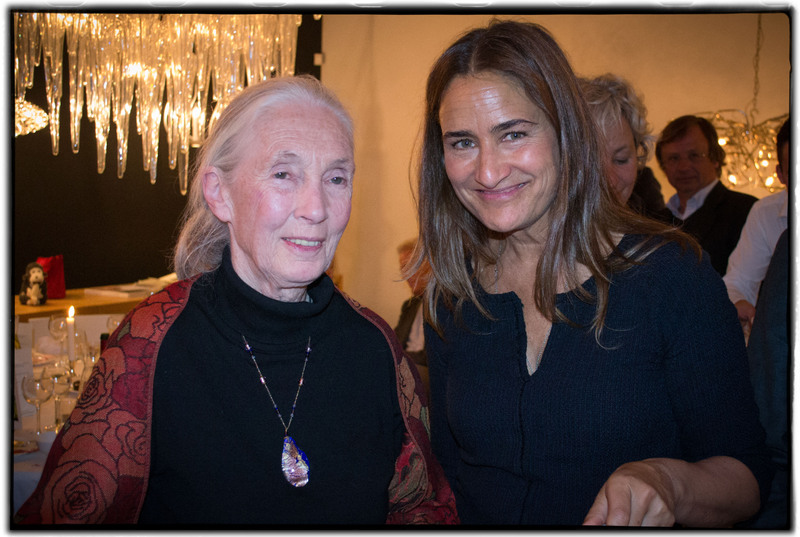 Jane Goodall’s Roots & Shoots nurtures values of civic responsibility, environmental stewardship, and peace. 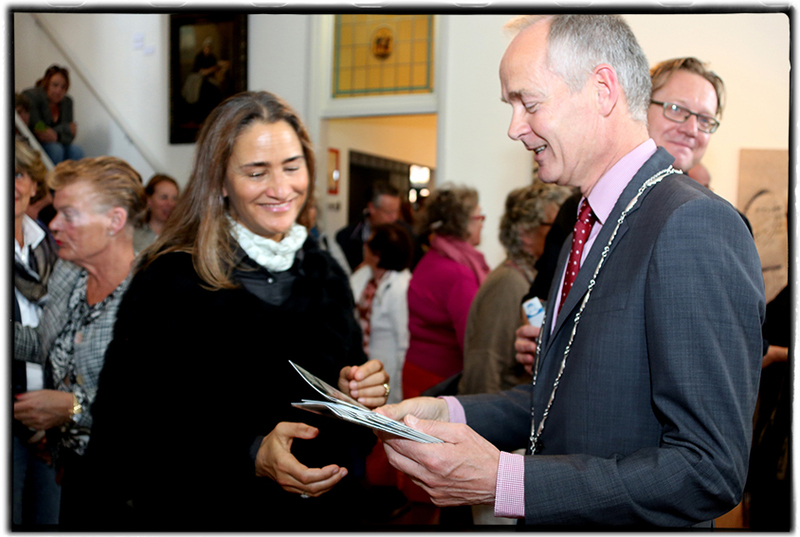 I want to help Jane reach young children in the Netherlands and ALL over the world. All children can join and partake in this global movement and start to make the world a better place. As can we all! Posted in moment of the week, photo of the week and tagged africa, Amsterdam, animals, art gallery, art photography, black and white, chimpanzees, conservation, dagboek, diary, environment, fotografie, gift, jane goodall, peace, photography, photoshoot, roots & shoots, roots and shoots, seeds of hope, sisters, social. Bookmark the permalink. 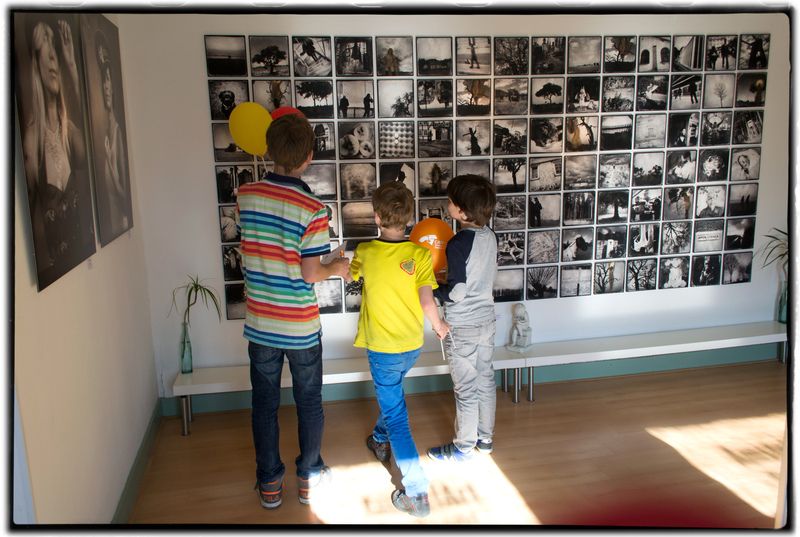 In the quaint ‘Zandvoorts Museum’ we have a group exhibit by photographers, and the theme is… Zandvoort! Our very own quaint beachside village! 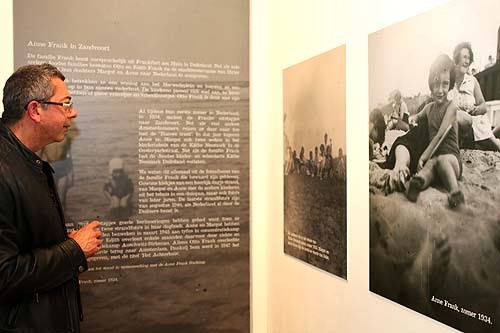 Along side our work, there is a very unique exhibit of photographs of Anne Frank and her family during their pre-war visits to the beach. Very touching to see. Zandvoorts Museum, Swaluëstraat 1, Zandvoort. Running until June 8th. Open Wednesday to Sunday 13:00 – 17:00. Anne Frank is running until the end of 2014. 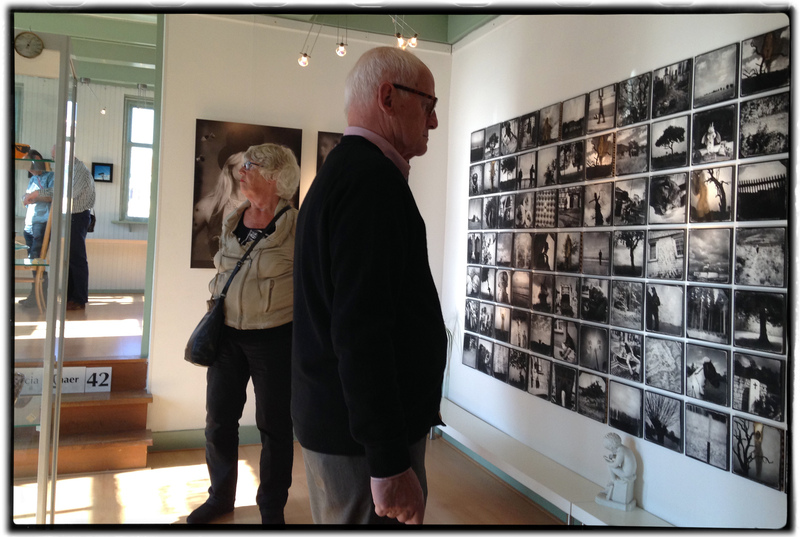 Posted in exhibits, photo of the week and tagged amstelart, Amsterdam, anne frank, art gallery, art photography, black and white, bruid en bruidegom, bruiloft, bruiloftfotografie, dagboek, diary, fashion, fotografie, gift, glass plate negative, Heemstede Kunstbeurs, industrial, kunsthandel, make-up, NDSM werf, photography, photoshoot, sisters, stichting trammeland, trailer-trash, tram, twilight, tying the knot, wedding. Bookmark the permalink. 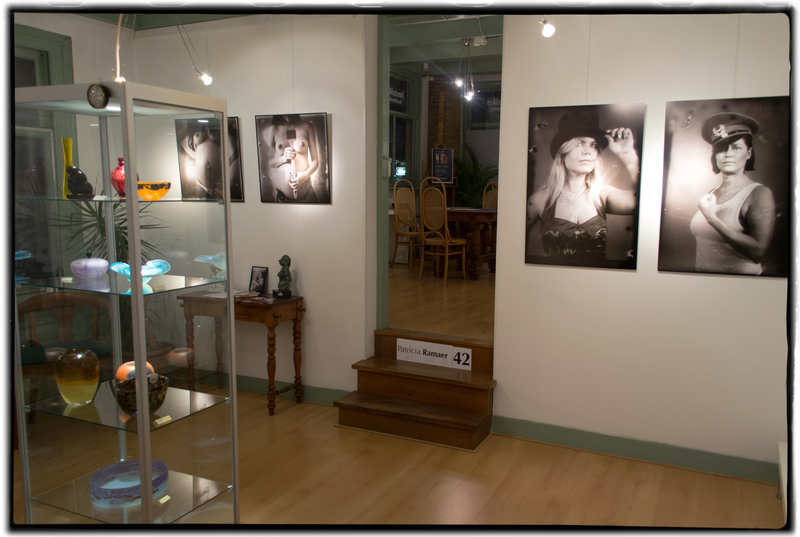 What an honor to be able to exhibit in the AmstelArt Gallery! 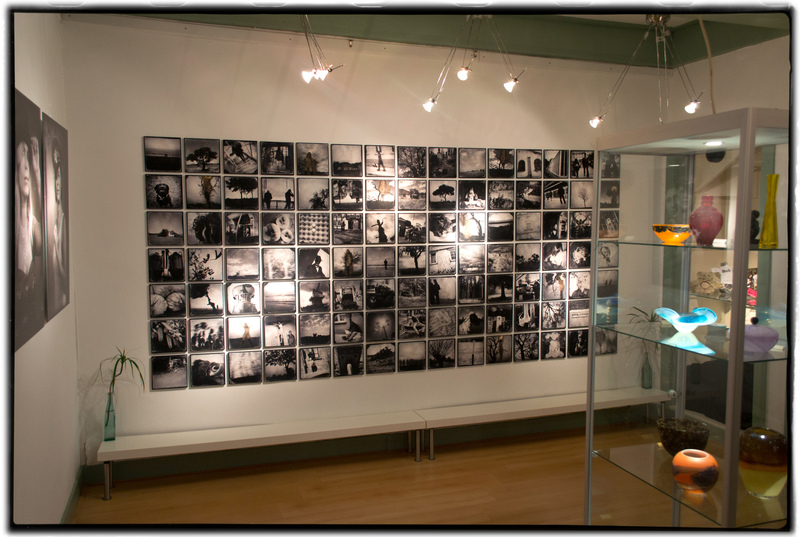 It’s always nice to see an overview of one’s own ‘hard labour’, the latest works, all in one space! Heemsteedse Kunstbeurs (ArtFair) did an amazing job organizing, that was obvious from the hundreds of guests that dropped by. 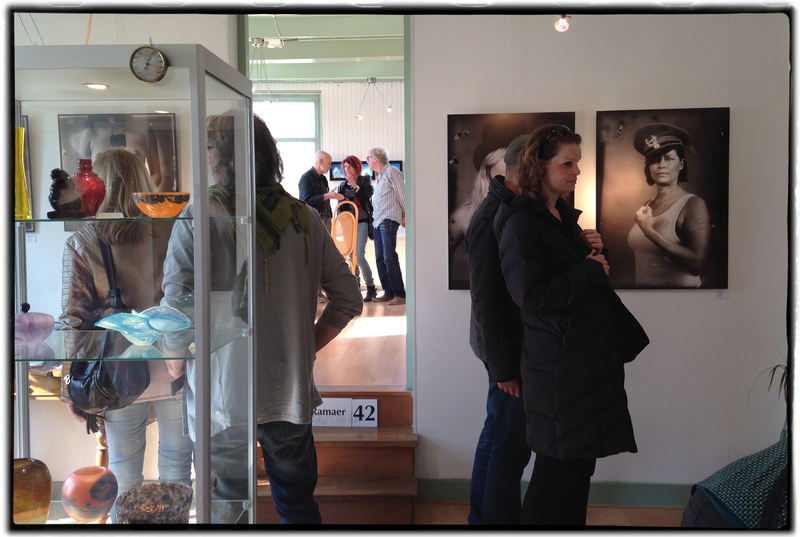 Beautiful weather and interesting visitors… Grateful to get positive feedback from so many art lovers. 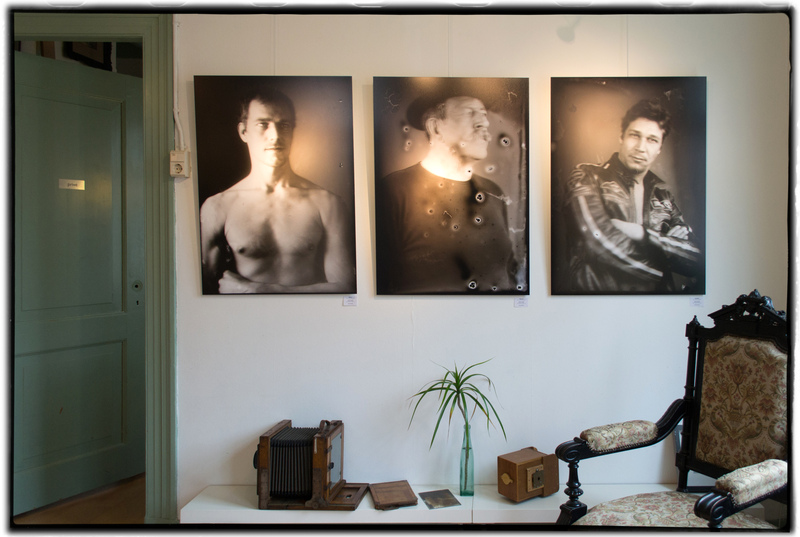 Posted in exhibits, photo of the week and tagged amstelart, Amsterdam, art gallery, art photography, black and white, bruid en bruidegom, bruiloft, bruiloftfotografie, dagboek, diary, fashion, fotografie, gift, glass plate negative, Heemstede Kunstbeurs, industrial, kunsthandel, make-up, NDSM werf, photography, photoshoot, sisters, stichting trammeland, trailer-trash, tram, twilight, tying the knot, wedding. Bookmark the permalink. Working on the pictures I couldn’t help but want to post a few more… there were some great portrait poses! Here some of my favorites. Even though it got cold and late, you ladies did a fabulous job Sandra & Babs!! Posted in photo of the week and tagged Amsterdam, black and white, bruid en bruidegom, bruiloft, bruiloftfotografie, fashion, fotografie, gift, industrial, make-up, NDSM werf, photography, photoshoot, sisters, stichting trammeland, trailer-trash, tram, twilight, tying the knot, wedding, wedding photography. Bookmark the permalink. The summer holidays are officially over, sigh! I hope that all your summers have been as good as ours. Of course I was out and about doing countless shoots and can’t wait to share some new work with you. Beginning with this fun and interesting shoot with my nieces Babs and Sandra. It was a blast being out on the NDSM shipyard grounds, the beauty of the industrial however could hardly compete with the beauty of my nieces! It got dark just a little too quickly for my liking, luckily we were prepared with some on location lighting. Thanks to Babs and Sandra for being such tigers. 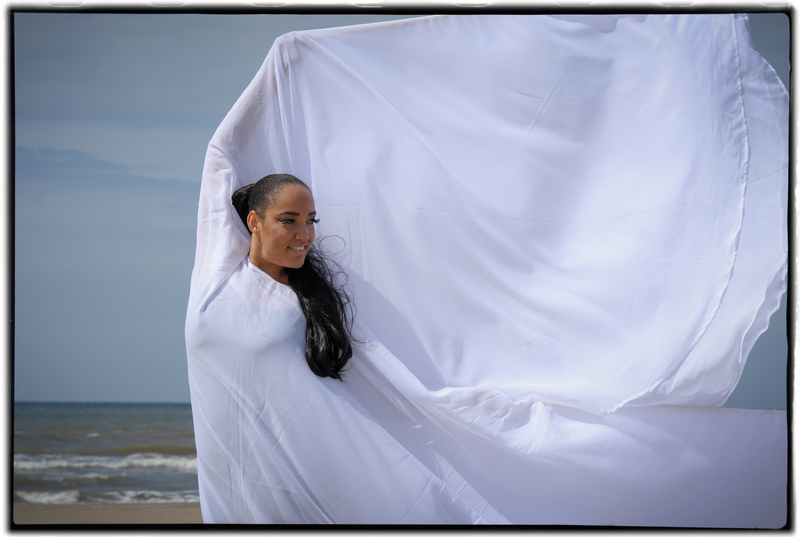 And many thanks to Melanie Foëh for the great make-up, help with styling and assisting. We made a great team! The perfect wedding walk moment! 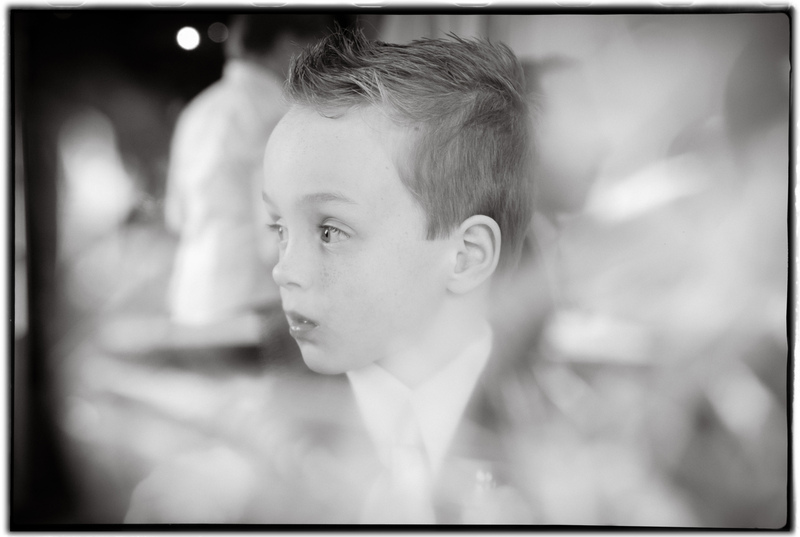 I am thrilled to share a few of my favorite shots from Viola and Wichert’s wedding day. As thrilled as I was to be able to shoot a wedding just the way I most love to take photographs; with available light only, completely journalistic [no posing whatsoever] and in black and white. I just love the wedding walk, I saw this shot coming into being and had to make a dash for it to be in the right position and remain unseen, sneaky paparazzi! It reminds me of the famous Beatles shot, I couldn’t have set the scene more perfectly if I had tried. 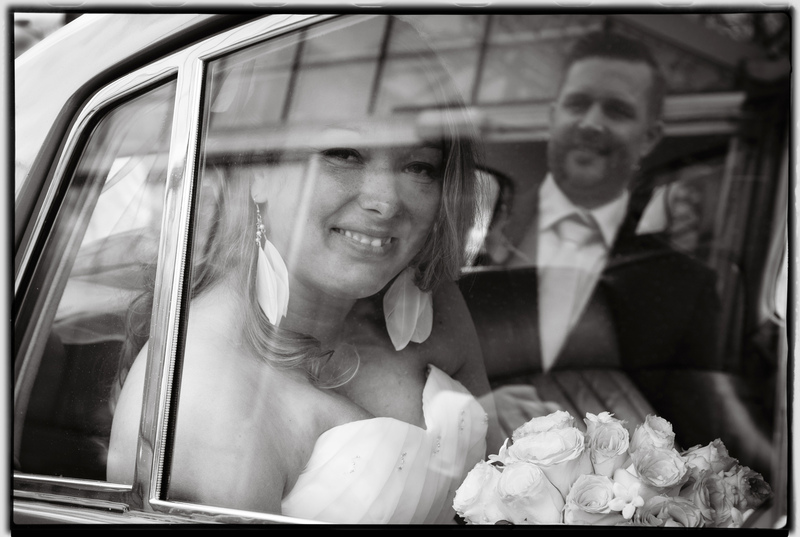 The icing on the cake was that it was a relaxed wedding day filled with deep love, emotion and true affection. What a joy. Congratulations Viola and Wichert for tying the knot. 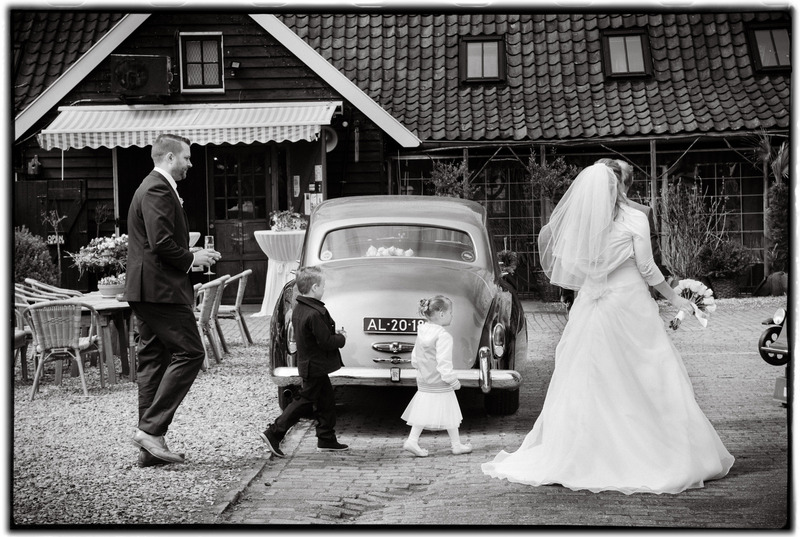 Posted in photo of the week and tagged black and white, bruid en bruidegom, bruiloft, bruiloftfotografie, photography, tying the knot, wedding, wedding photography. Bookmark the permalink. What a beautiful day to test one’s wings! (And one’s new lens!) Rhodes is very proud and honoured to be ambassador for ‘Project Speak Now’, a foundation that is passionate about allowing abused children to have a voice and speak up. Rhodes has written a song called ‘Little Butterfly’ that will be out later this year. This evening she and the president of the foundation, Marianne Kimmel, will be on Dutch television. (21:15 Nederland 2). 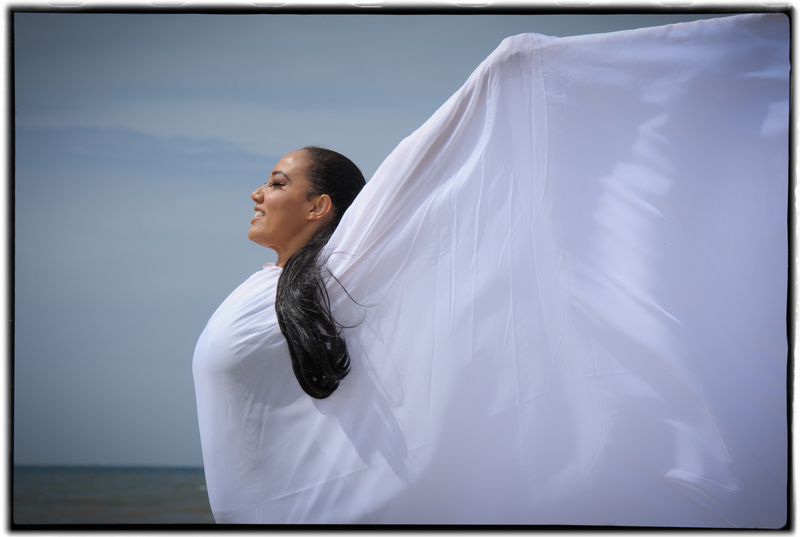 This was actually literally a test shoot to see how the wings would work in the wind. We were both so happy with the shots that we decided to use them. 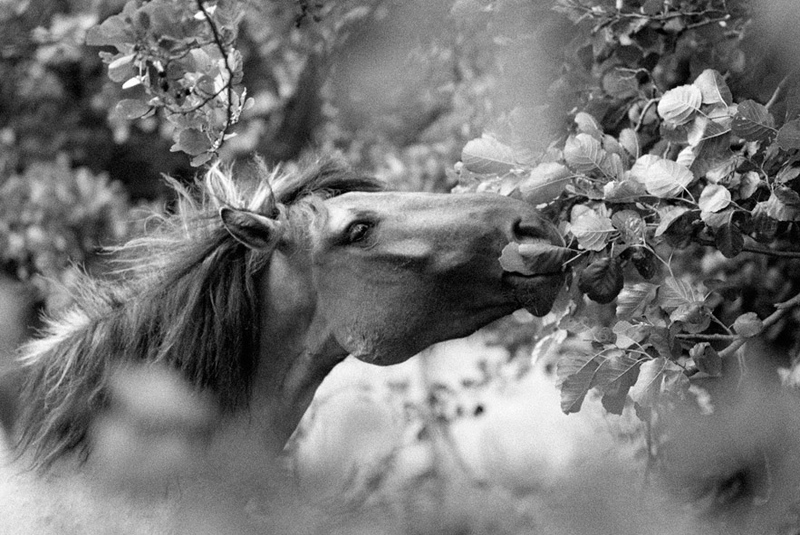 Have a wonderful weekend everyone. Posted in photo of the week. Bookmark the permalink.